The Widdoes Vineyard was one of our star performers in this magical vintage. 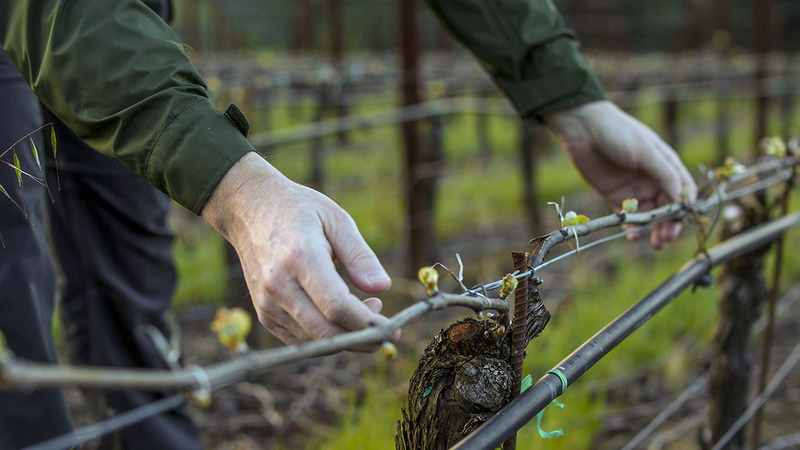 These old vines perform at a hugely consistent level each year and we’ve worked with this vineyard for seventeen years now. That said, this is probably my favorite Ryan bottling since the 2005 vintage, a wine that’s still quite youthful. It’s a wine that thrills with its aromatic range – red fruits, black fruits, filled with spices and earth tones, and a real livewire precision to the wine that does not let up easily. With time in the glass – or a recorked bottled the following day – the old vine extract comes out and there are layers of texture and body and complex truffle character. This is essence of Green Valley Pinot Noir and a wine that should develop great complexity in bottle for most of a decade. A nostalgic wine for us that reminds me of our 1996 inaugural bottling. Intensely aromatic, full of minerals, wild berries, sandalwood and orange peel. Opens to dried flowers, truffle and smoke. Dynamic sappy wine, highly evocative of Widdoes Vineyard. Great thrust to the palate, hits every taste bud. Dark fruits, peppery spice, black olive then palate broadens and rounds out. Youthful tannins and prominent acidity. A real ‘adult’ style with no easy sweetness. Compelling savory finish full of fruit and earth. Drink between 2015 and 2023.